One of the agents suggested that perhaps he got whatever tipped off the alarm from the cab—but I was also in the cab, I reminded them. For the sake of the argument, had we been terrorists, their screening would have failed as their metal detectors would not have detected any explosive materials on me, and their bodyscanners do not detect such materials; if either of us had ill intent one of us would have been allowed on the flight. 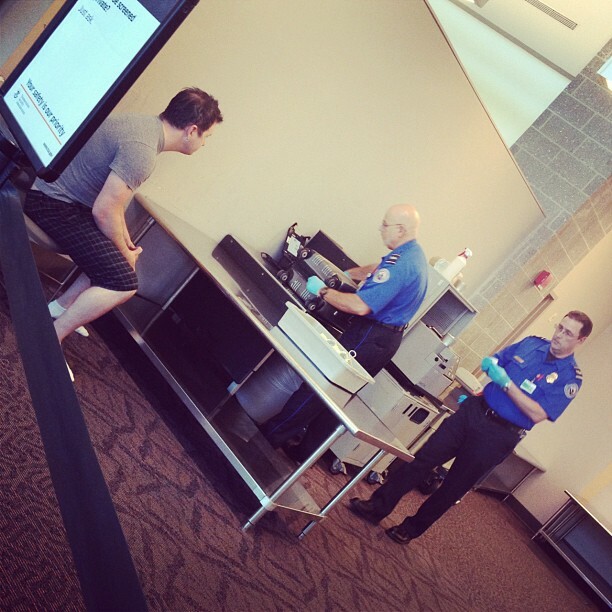 The TSA’s policy of nonsensical random screenings, which look for items rather than behavior, can be easily exploited, which is why our country has a bloodier history with sky-terror than, say, Israel, which focuses on behavior in their security protocol.